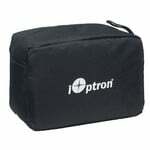 iOptron launched the first fully developed camera mount onto the market with their legendary SkyTracker. This small photographic accessory slips easily into your photo bag or travel luggage. 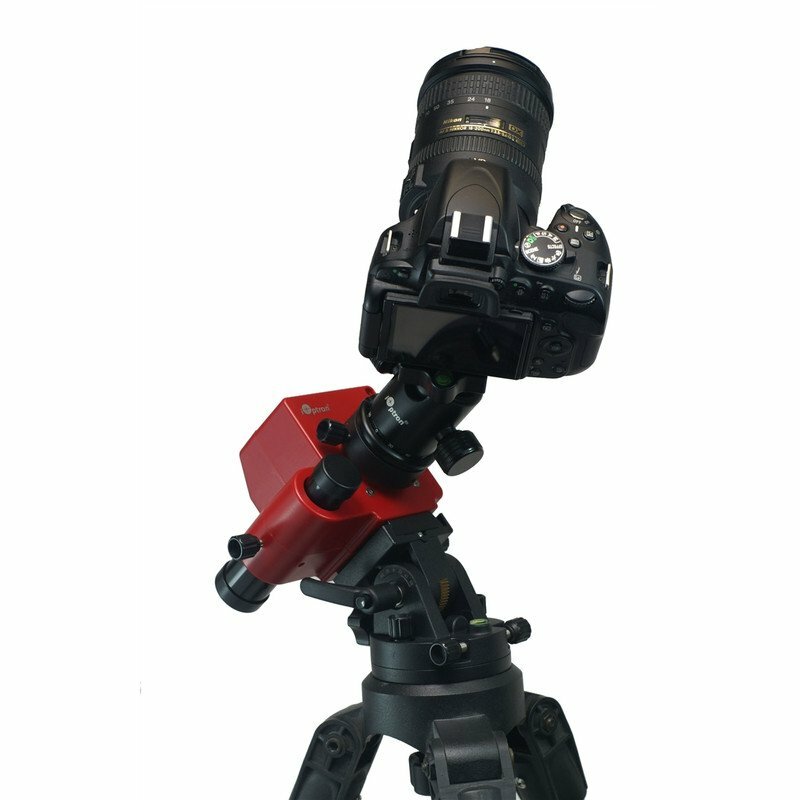 The compact astronomical mount goes between the tripod and camera and allows your camera to follow the movement of the night sky - allowing you to use any system camera or DSLR for producing fascinating shots of the night sky! 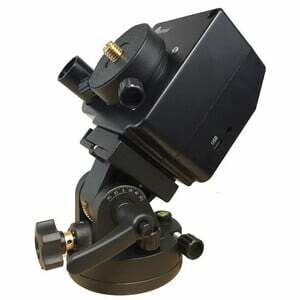 an adjustable polar-finder included in delivery, with adjustable lighting in eight steps. 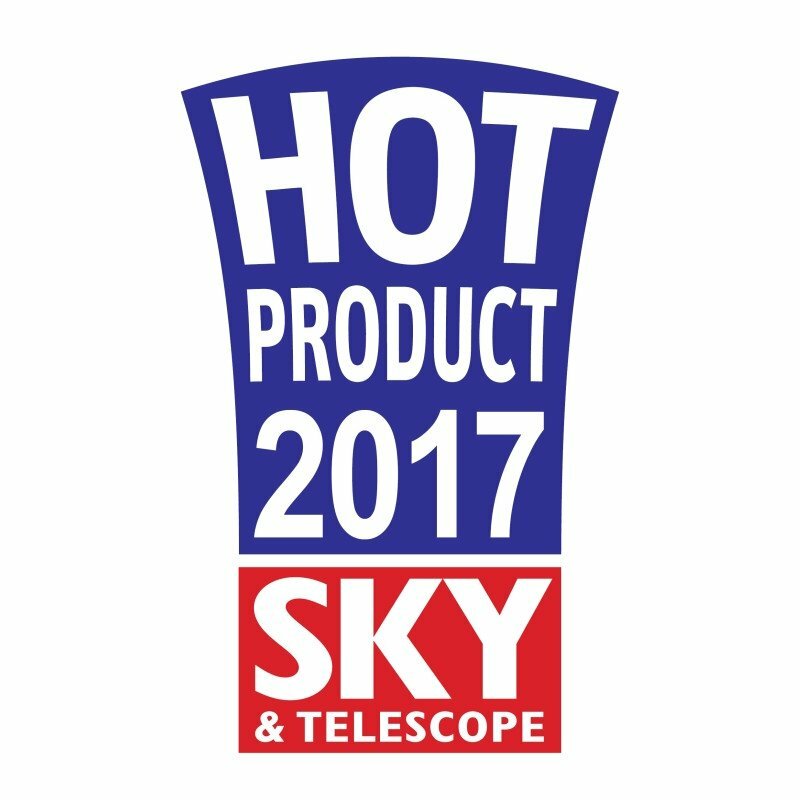 SkyTracker Pro now has a built-in rechargeable battery, instead of batteries, which can be charged via mini-USB cable and allows 24h operation. the base, which is adjustable in azimuth and elevation, can now be removed from the SkyTracker. It allows you to simply attach the base to the tripod and then attach the SkyTracker. 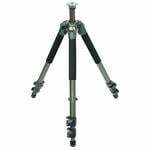 The base has a connection for the usual 1/4" and 3/8" camera tripod threads. a spirit level is built into the base. 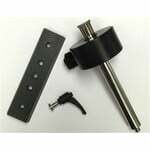 There is also a grippy adjustment screw for azimuth and a large lever for elevation adjustment. 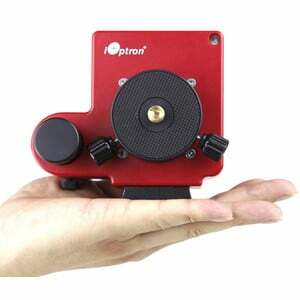 Use the scale to set the latitude. 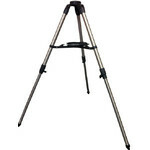 This is useful if you do not have a clear view of the Pole Star. 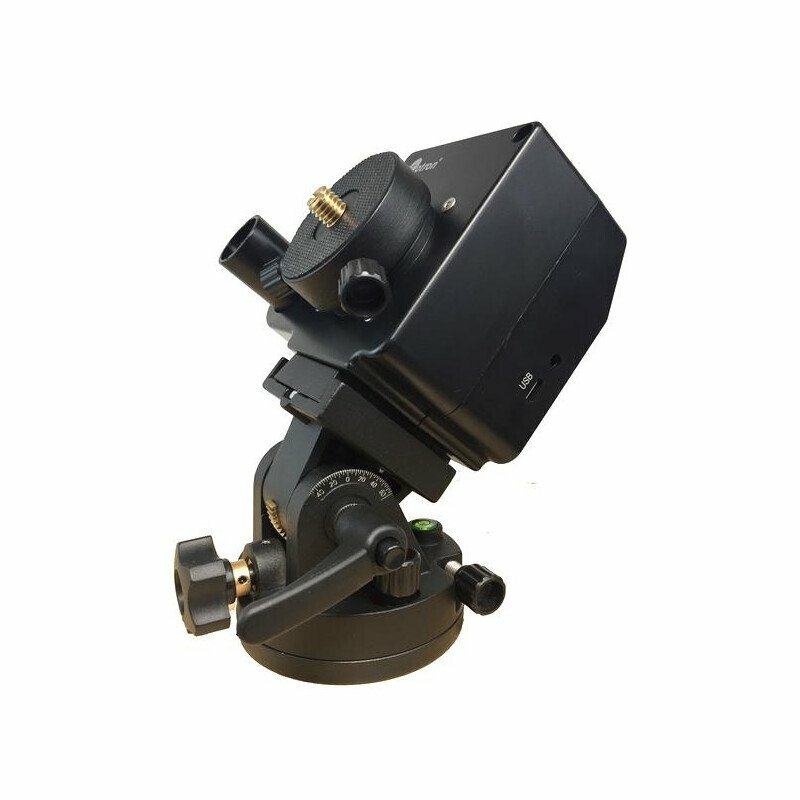 And, speaking of the Polar star - you can reverse the rotation for using the SkyTracker Pro camera mount in the southern hemisphere. 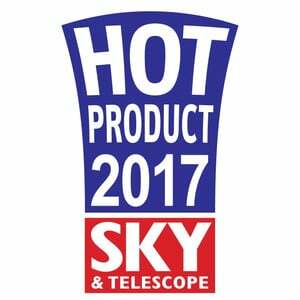 The Skytracker Pro makes full use of the experience iOptron has gathered in designing its large astronomical mounts. 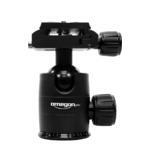 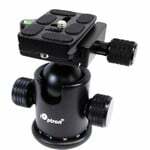 This is clearly noticeable in the outstanding mechanical quality of this small portable mount!